Every organization is unique. You may have offices all over the globe, a few local teams you collaborate with daily or both! Keeping track of time zones and essential numbers can be cumbersome, especially when your day is filled with meetings. Shouldn’t the phones in your conference rooms be tailored to your organization so you can get into those conversations easily and quickly? With Lifesize, they can. The smartphone for your conference room just got smarter with more customization for the home screen. Want to show off your company logo? Now you can — just upload the image! For Lifesize customers with Lifesize® Phone™ HD attached to a Lifesize® Icon™ 400|450|600|800 system, you can customize the home screen wallpaper, buttons, layout and times zones. Standardize across all of your offices or create unique home screens for certain rooms like the boardroom or the CEO’s office. 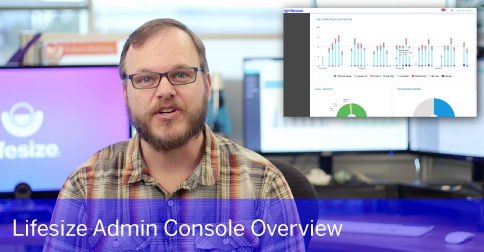 All customization is easily managed through the Lifesize Admin Console. Personalize the home screen of your Lifesize Phone HD with a layout that works best for your organization and the buttons you use the most — choose up to eight buttons or none at all. Or perhaps you want to match the six-button layout of older-model Lifesize phones for consistency across your offices. Have offices across the globe? We’ve got you covered — Lifesize Phone HD can display the time zones that mean the most to you, and now you can personalize the names for those time zones. Select up to four time zones to display or even display a custom set of times zones for every conference room. Dial a phone or enter calling information. Start a presentation. 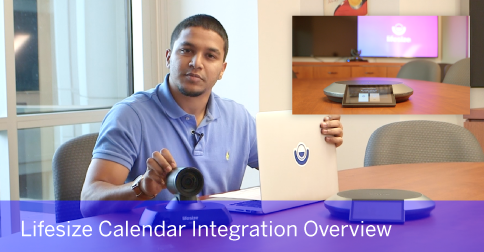 You can share your screen whether you’re in a video call or giving a presentation to others in the conference room. Reposition/zoom the camera. You can also store up to nine preset camera locations. Subscribe your Lifesize Icon systems to your calendar service for on-screen calendar displays and a list of today's and tomorrow's meetings. Switch to power-saving mode. Press Wake to resume normal operation. Jump to the Start screen to access all of the features of Lifesize Phone HD. Access volume control, and easily adjust the volume with the slider. When Do Not Disturb is enabled, other calls will not come through. This is a quick and easy way to check the general health of your conference room system. Let people know how to contact you on your Lifesize Icon conference room system. View the name of your system, video numbers, voice numbers and a link to international phone numbers. Call a user, meeting room or conference room system listed in your favorites. Make a call. Once here you have several options. Locate and call contacts using Recents, Directory or Favorites. Join a meeting using Meetings. 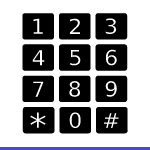 Use the Keypad to dial a phone directly. Call a user or a meeting listed in the company directory. Select the person or meeting to call and then Dial as Video or Voice. Join a meeting listed in the Meetings Directory. Add a call shortcut for users in your Directory, Meetings or others outside of your company that you frequently call. Ready to customize your Lifesize Phone HD home screen? We put together a simple walkthrough to teach you how.